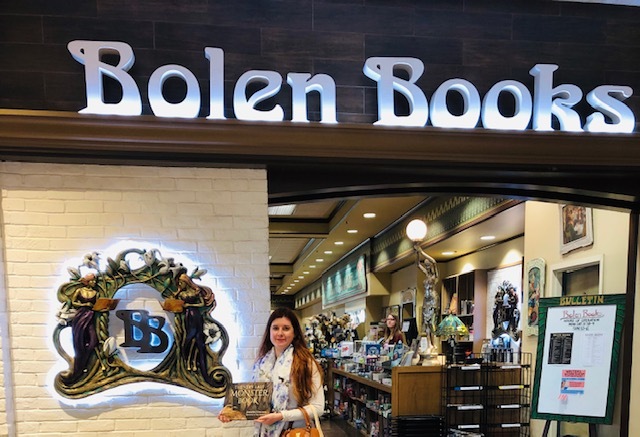 Join Illustrator Aura Vanderwal on Sat 30th March from 11am to 2pm to get your book signed and see some original artwork hidden around this fantastic book store! Update: Limited Edition Running Out. 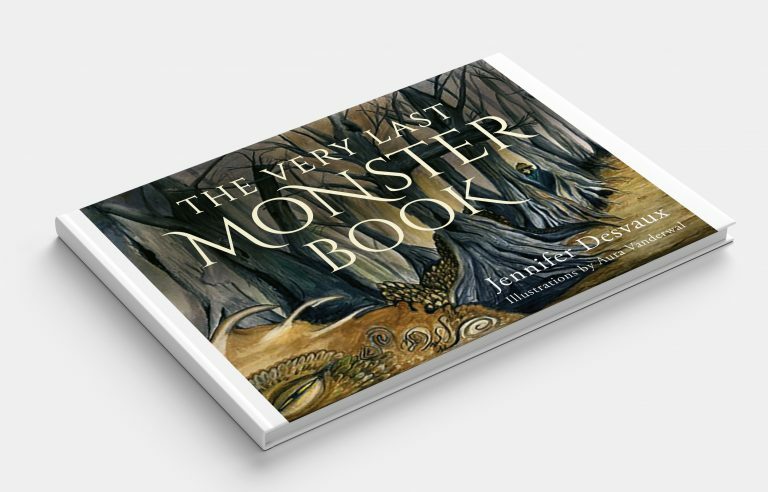 We are pleased to announce that The Very Last Monster Book is available for order. This is a LIMITED EDITION Collectable Hardback. Please order now to guarantee your copy. 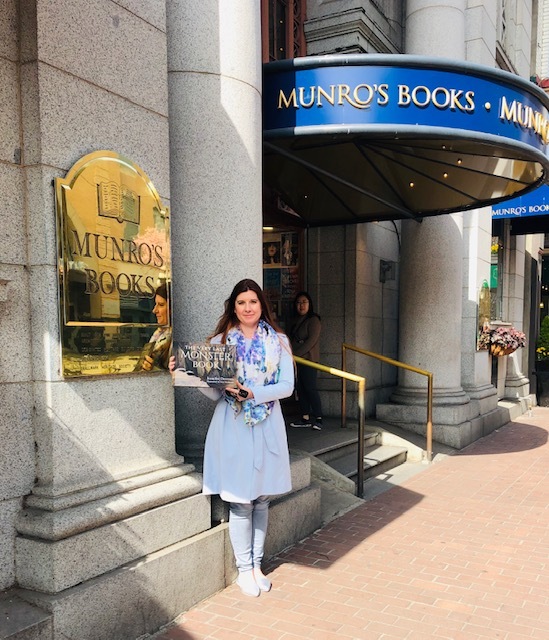 Munro’s Books in Victoria now has The Very Last Monster Book taking pride of place! Grab your copy whilst the Limited Edition stocks last. 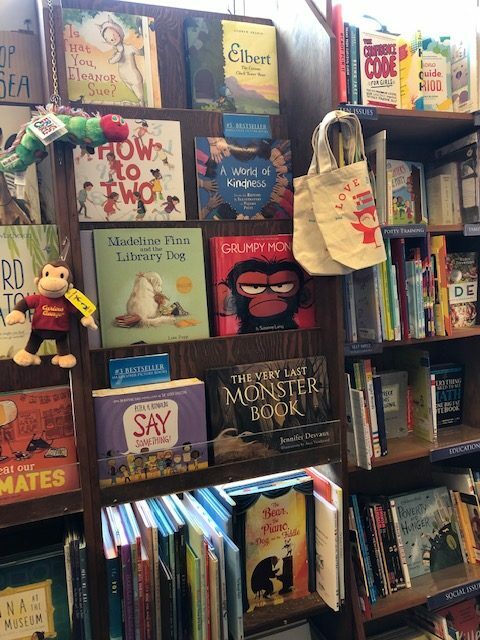 The Very Last Monster Book made its shelf debut in the wonderful Bolem Books in Victoria this week. They have a stock of the Limited First Edition Hardback. Illustrator Aura, outside Bolen Books. 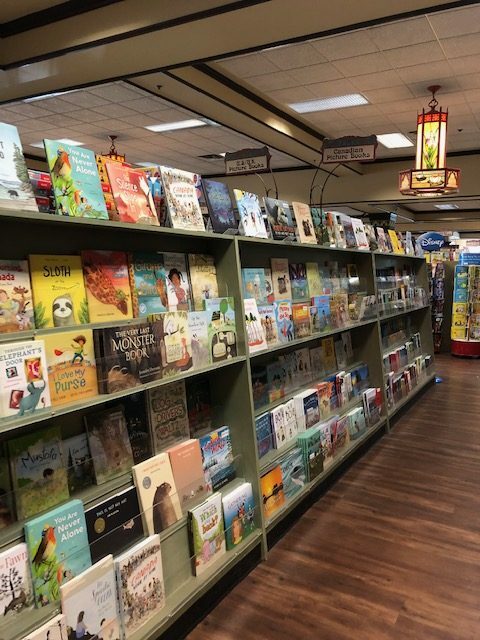 Jenni was an avid reader and she loved nothing more than spending hours in our local Chapters Book store. 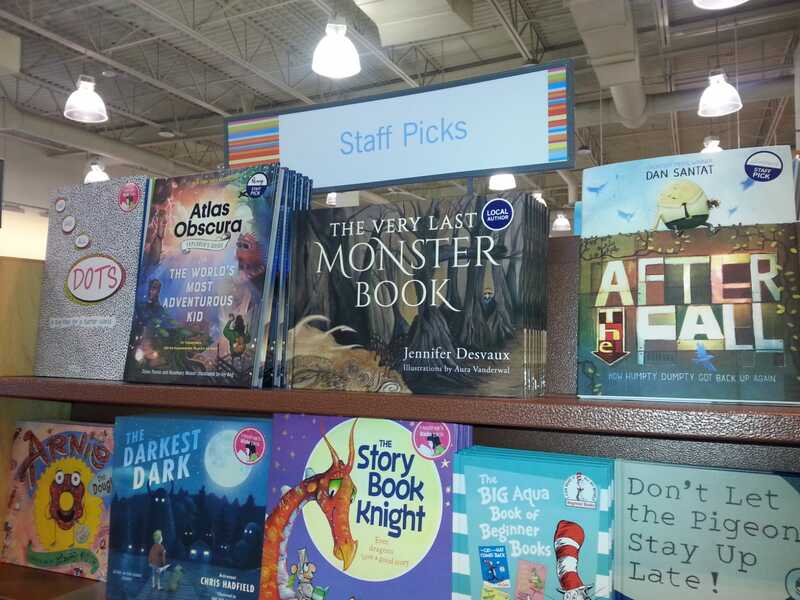 Today, we are delighted to let you know that The Very Last Monster book is now available in Chapters in Nanaimo, BC. And look, it’s a Staff Pick! The Very Last Monster Book is Released! The book is available for delivery worldwide by ordering here and currently available at the following locations. Natural Synergy Day Spa and the wonderful Fireside Books. We now have a limited supply in the UK – select delivery via Royal Mail on the order form). You can order a copy at local book stores across Canada. Tell them they can find us on ‘Pub Stock’. If you are a library, school or organisation looking to order a bulk shipment, please contact us. All books have been dispatched worldwide and should have arrived. Please pick up your pre-ordered books from Soak Essentials. Please bring your email receipt (printed or on your phone). MILTON, UK and VINELAND, ONTARIO are available for pick up now. Any questions? Please drop us a message here. The monsters all used to frolic and play. Now there aren’t many left, I’m sorry to say. The very last monsters are still tucked away…. See the Exhibition and Book Launch with Words and Original Artwork of The Very Last Monster Book. WE NEED YOUR HELP… CAN YOU SAVE THE VERY LAST MONSTERS? JOIN THE SEARCH and help save The Very Last Monsters. Bring the kids to hold your hand! Meet illustrator Aura Vanderwal. Bring your camera! Fancy dress for the kids. Theme – “Last Monster Explorer” costume. Bring your binoculars, magnifying glasses, maps and more…! SIGN UP to get notified of news. Please also report any monster sightings in your inbox. Thank you to everyone who has ordered the book. It is currently being printed! We will email you in mid-November with specific details of when your book(s) will be despatched. 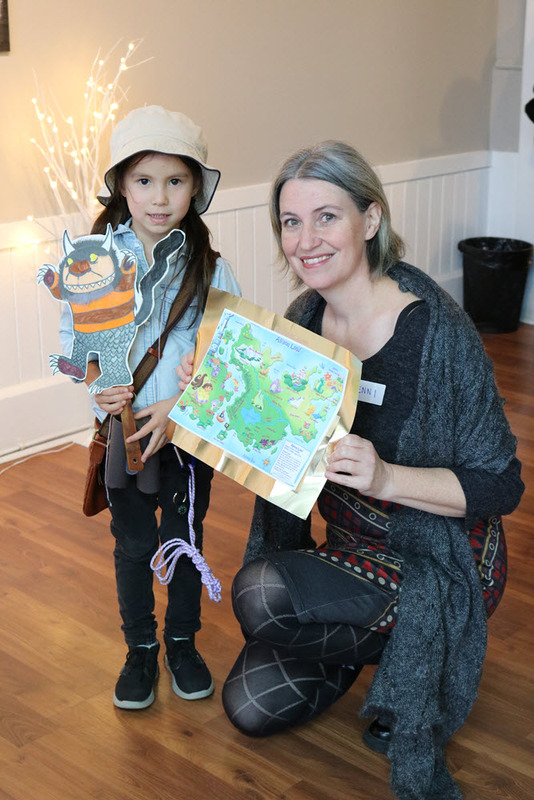 To celebrate the book launch, we will be running The Very Last Monster Exhibition (see preview) so kids can dress-up as Explorers and seek and find the creatures in the monster-sized book with original artwork! 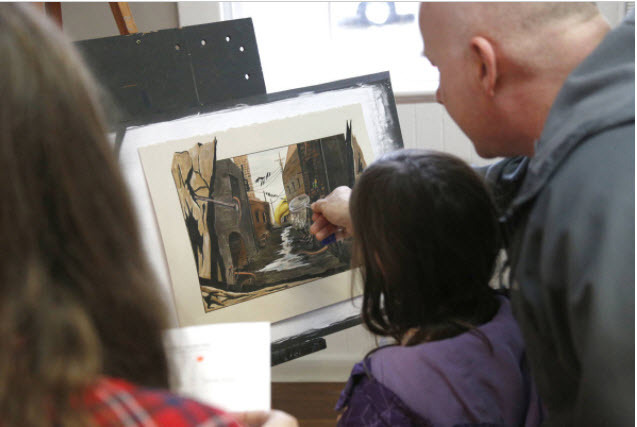 There will also be a chance to meet the Illustrator Aura Vanderwal. Entry is free but due to demand, a time slot needs to be booked. You can come any time if you just want to pick up your book/s. Please print off and bring your email receipt to collect your book/s. You can also collect a friend’s books if they give you their receipt. Additional copies of the book will be available on the day (subject to availability) if you need extra Christmas presents. Phyllis will have some additional copies of the book available (subject to availability) if you need extra Christmas presents. We anticipate the book being available to pick-up from Michelle Peters from early December. Michelle will have additional copies of the book available if you need extra Christmas presents. We anticipate the book being despatch late November. Arrival will be based on the shipping option selected (airmail, surface mail etc). 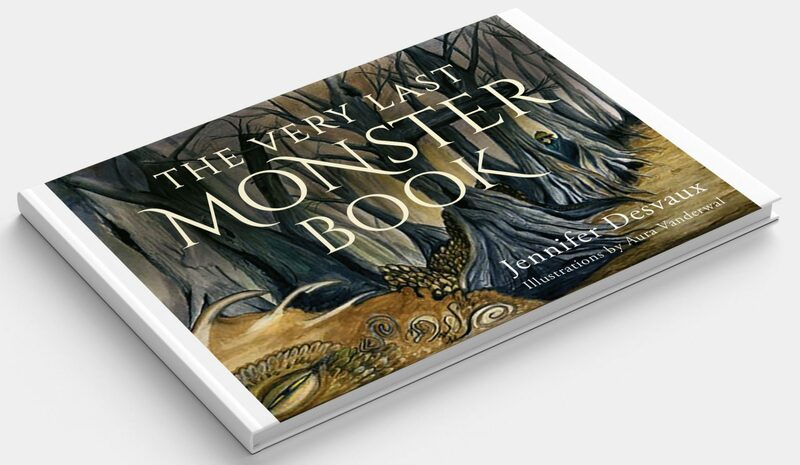 Before Jenni passed away, she wrote ‘The Very Last Monster Book’ for children which I promised I would get out into the world. Please help spread the word by sharing this video, and if you are able, please get a copy or three to help get the book get funded and make Jenni’s dream a reality. Reserve your copy of The Very Last Monster Book here. 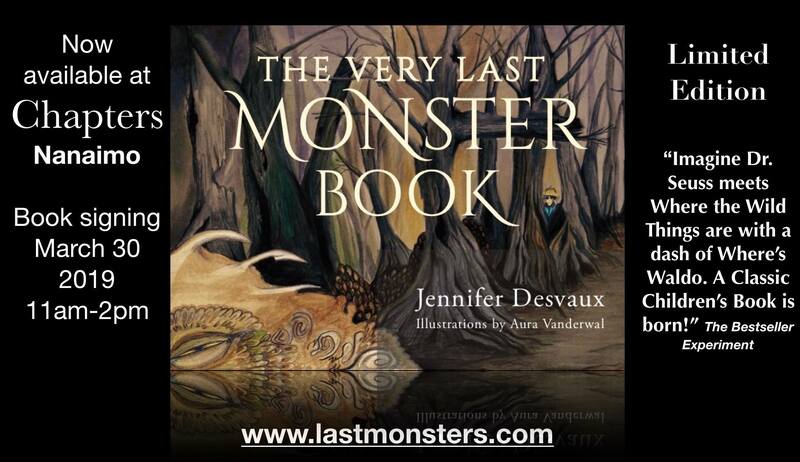 It is with great sadness that Jennifer Desvaux, author of The Very Last Monster Book, passed away in May 2018 after a five-year journey with cancer. She was 46 years old. She leaves her husband, Mark and her three children. Jenni’s dream was to have a Children’s book published and with your help, we are going to make that happen.